You’d never know it upon seeing this likeable, simple old man that he’s one of the most influential photographers in print media, but he is. 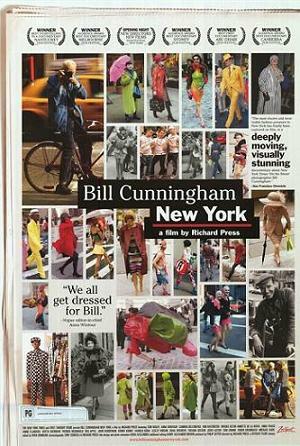 The doc Bill Cunningham New York introduces us to Bill Cunningham, a pleasant guy in the twilight of his life, as he shares a bit of his incalculable experience in the world of fashion photography. Bill leads a frugal, discreet, almost secret existence and this documentary by Richard Press certainly mirrors that in its simplicity and unobtrusiveness.